The Mayo Mattress range has been a favourite with British farmers since its launch in the late 1980s. Now, the family-run company behind the mats is undergoing a change of name and has a new, but familiar, face at the top. Joe Egan with his daughter Niamhanna who has taken over as director. Cow Comfort has been manufacturing the Mayo Original mat in Mayo, Ireland, since 1986. They were devised by Thomas Duffy who, at the time, was working as a chemist in a shoe sole plant when his brother suggested the EVA he was working with would make a far superior bedding material for cows than rubber. After some work to make the material a much higher grade, the Mayo formulation of EVA was borne and the first mats, some of which are still in use today, were manufactured. Three years later, family member Joe Egan who was at the time working as a teacher in Lancashire, imported and sold the first Mayo mats to British farmers. Sales grew rapidly in the early years and the company quickly established itself. Joe went on to develop a world market for the mats which are now sold in 30 countries. Holland, Germany, Japan and the USA being leading customers with one single farm in Oklahoma installing 14,000 units (Braum Dairies). Fast-forward 27 years and the company is today called Mayo Farm Systems and Joe is stepping back. His daughter Niamhanna Egan has recently taken over as director of the company. She says the Mayo portfolio has grown significantly in a bid to meet all the requirements of a new unit build or refurbishment of an existing one. 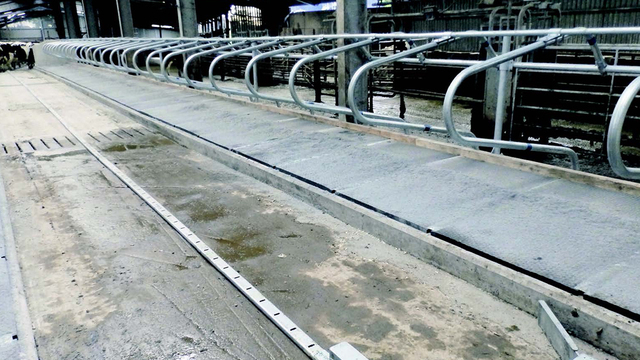 The range includes not only Mayo Cow Comfort, but also Mayo Automatic Hydraulic Scraper and Slurry System Solutions, Mayo Husbandry Equipment, Mayo Calf Rearing and Mayo Horse Comfort. The company also offers no-obligation advice to farmers planning a project. However, Niamhanna stresses the business has remained true to its core values. 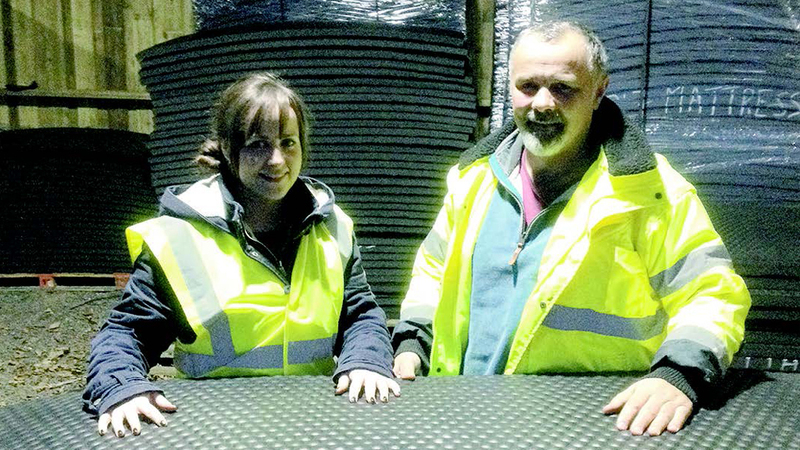 Mats are still manufactured in Mayo with her uncle, Tom Duffy, at the helm. In England, staff members John Parsons, head of sales, and office manager Rosemary Cheetham remain with the company more than 20 years on. And the company prides itself on its relationship with customers. Despite the worldwide success of the Mayo Original, in 2010 the Mayo Mattress was launched and quickly replaced the Mayo Original as the leading product for animal comfort. Niamhanna says it is twice as thick and softer than the Mayo Original mat, while still maintaining its stable structure and other benefits farmers were used to with an Original. Talking more about Mayo EVA she says: “It outlasts and outperforms rubber in every way and is completely devoid of any inert fillers. Looking to the future, she says: “With regard to the new product pipeline, we are working on what we feel will be another market game-changer in the cubicle mattress arena. Watch this space! “We are also launching the new and improved Mayo Joining Strip which, with its new design, provides added hold and cover versus the original. “We will be stepping up our online and social media presence to ensure we continue to keep our finger on the pulse and, under my leadership, we have recently gained ISO 9001 certification,” she said. Richard Harrison installed 120 new mattresses from Mayo Farm Systems on his Peebleshire farm. Richard Harrison milks 300 dairy cows and runs 800 ewes with the help of his father, Mike, and son Richard, plus three full-time staff. In all, they farm 526 hectares (1,300 acres), including 161ha (400 acres) of arable land. The family began a steading improvement two years ago, initially upgrading the parlour, installing new roofs over the cattle sheds and replacing 100 old cubicles. Mr Harrison had fitted Mayo Original mats in the cubicles 25 years ago. So, with that in mind, he looked again to Mayo Farm Systems and installed 120 new mattresses guided, he says, by knowledgeable and helpful advice. Mr Harrison also installed new scrapers through Mayo which he believes have improved greatly.